I parked on 1140 last night since it is a frequency where I only have one station (WRVA) logged, so I figured it had potential. WRVA dominated the frequency with a weak station playing what sounded to me like opera fading in and out behind WRVA. Doing an Advanced Search on Radio-Locator came up empty as far as any US or Canadian stations on 1140 with a classical music format. Maybe it was coming from beyond North America. Commuting to work this morning, I tuned the car radio to 1140. 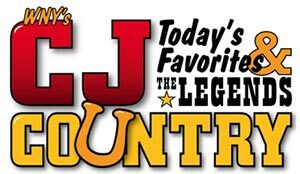 WRVA was gone and in its place was a new one for the log: WCJW, "CJ Country," transmitting 2300 watts from Warsaw, New York, 280 miles to the north-northwest.